Of course! Flexibility is our motto! Pets will be pets though! How long until my parcel arrives?. Make sure you change over gradually from standard food. We hope that's okay with you! Pets are family. 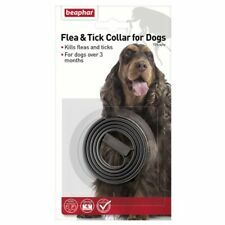 Beaphar flea and tick plastic collar for dogs Posted Today If Paid before 2pm Flea kill begins almost immediately, but it may take several days for the active ingredient to spread throughout the entire coat. The collar is 65 cm long and will fit most dogs. The reflective finish helps your dog to be seen more easily in the dark. Suitable for dogs over 3 months of age. In black, Red, blue. Extra Large Dogs. USE ONLY FOR DOGS OVER 66 LBS AND OVER 12 WEEKS OF AGE. DO NOT USE MORE THAN A 4.5 ML DOSE REGARDLESS OF DOG’S SIZE. Invert tube over dog and use open end to part dog’s hair. Over 66 lbs. Kills horseflies, stable flies, lesser houseflies and other manure breeding flies, fleas, lice, mites & ticks, including deer ticks. - Dilute 8oz in 6.25 gallons of water or 1 quart in 25 gallons of water. 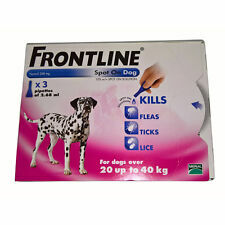 Johnsons 4Fleas Tablets Large Dog 6 Pack - Starts To Kill Fleas In 15 Minutes POSTED TODAY IF PAID BEFORE 2PM CAT AND KITTENS OVER 4 WEEKS 1-11KG suitable for any kitten or cat over 4 weeks above 1kg Each tablet contains 11.4mg of nitenpyram SMALL DOGS AND PUPPIES 1-11KG Each tablet contains 11.4mg of nitenpyram LARGE DOG OVER 11KG Each tablet contains 57mg Nitenpyram KILLS FLEAS ON PETS IN 24 HOURS Powered by [eBay Turbo Lister] (https://pages.ebay.com/turbo_lister/). The Tick Key is the only tick removal device on the planet that uses natural forward leverage to remove the entire tick, head and all, quickly and safely without touching or squishing even the toughest engorged ticks. NEXGARD SPECTRA is a tasty beef-flavoured chew that dogs love – you’ve told us so! At the end of a 3 month Australian field study, 100% of owners reported that NEXGARD SPECTRA was well received by their dog. What does this tablet treat?. roundworm (. To check if your pup has worms, look for a fat, round, belly; thin coat, and less playful behaviour. Animals infested with worms are a continual source of reinfestation to other dogs. ). Flea Away is a flavored chewable tablet which can be given to your dog or cat as a treat or placed in their food. Flea Away is a vitamin complex, specifically formulated for dogs and cats. What makes Flea Away different from alternate flea repellents is that fleas. NexGard kills fleas by 8 hours of administration. 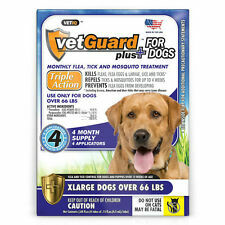 NexGard kills fleas & ticks, including paralysis ticks, for a full month#. NexGard is suitable for puppies from 8 weeks of age and greater than 2kg. PetNSun efficacy similar FRONTLINE. This gentle formula kills and prevents adult fleas, ticks and mosquitoes. ACTIVE INGREDIENT - Specially formulated for dogs. READ ENTIRE LABEL BEFORE EACH USE. Repels bitings flies and kills lice. 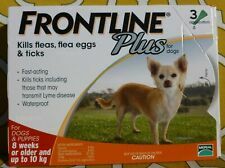 Kills existing fleas on dogs within 12 hours. Repels and kills fleas flea eggs ticks and mosquitoes. Breaks flea life cycle. Dogs Cats Small animals Horses Reptiles Fishes Birds. Does your dog love the water?. No problem! K9 Advantix® II is waterproof. Studies have shown your dog will still be protected after exposure to water—whether your dog has gone for a swim, has been given a bath or has been in the rain.2 This waterproof protection can be used on puppies as young as seven weeks of age. Interceptor for Dogs. ► Interceptor Spectrum protects against heartworm disease, roundworm, whipworm, hookworm and tapeworm. ► Interceptor Spectrum can be given to puppies from 2 weeks of age and pregnant dog. Will pass from your pet's system within 24 hours of ingestion. you get 50 flea killer. So gentle it can be given daily (once every 24 hours) to puppies, kittens, cats, and dogs, including pregnant or nursing dogs and cats. Earth Animal Flea and Tick Powder for dogs and Cats is a safe and effective way to repel fleas, ticks, and other pests. Garlic is antibacterial, anti-fungal, antiviral, & anti-parasitic. How does it work?. Guardian One® 45mg for Small Dogs 2 - 10 Lbs. •Guardian One with Lufenuron Nitenpyram should NOT be given to dogs with a history of seizures. •Guardian One with Lufenuron Nitenpyram should be given once a month. 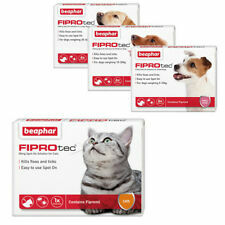 Electronic ultrasound device againts ticks and fleas - designed for pets Operating range is approximately 1. 3 x Refill discs. Change discs every 2-4 weeks. Use one unit in each room affected by fleas. Kills Fleas with no spray. Use all year round to monitor infestations. 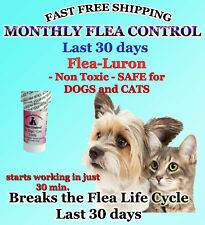 Flea killer 3 gram & Control 6 gram powder packets for cats and dogs 9000 mg!